The Terrain Hopper was invented in the U.K. in 2010. 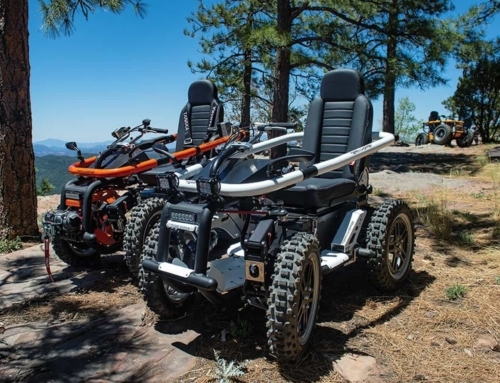 The first US-built models will hit the trails this summer when production begins in Tempe, Arizona. 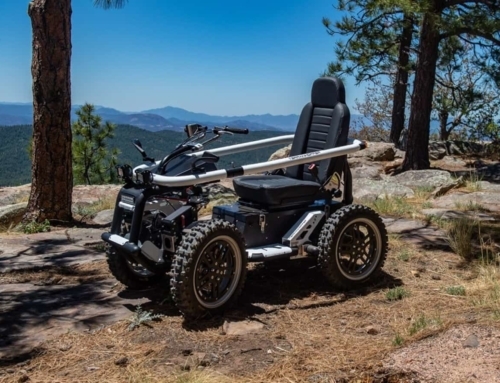 The terrain hopper is more like an off-road vehicle than a wheelchair. 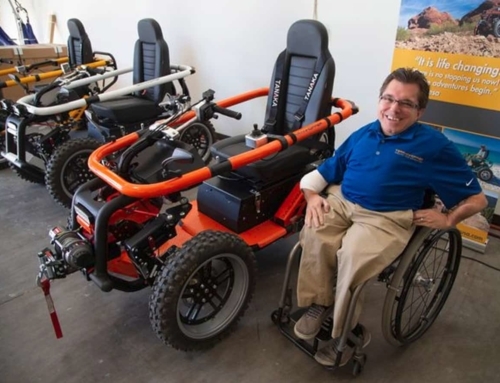 Designed for a wheelchair user, its tires, suspension, seating and steering are more akin to an off-road utility vehicle. When it comes to having fun, that’s a very good thing. 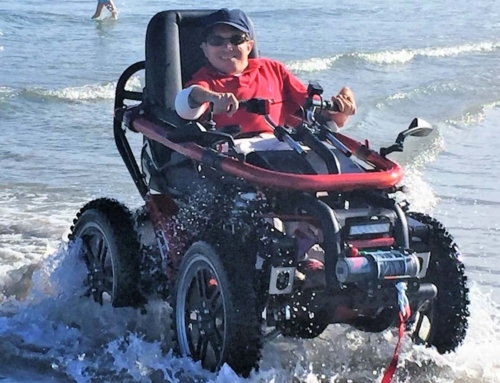 Dig a little deeper and you’ll find the design has many features that allow people with many types of disabilities to get out and enjoy nature. The Hopper is four-wheel drive. 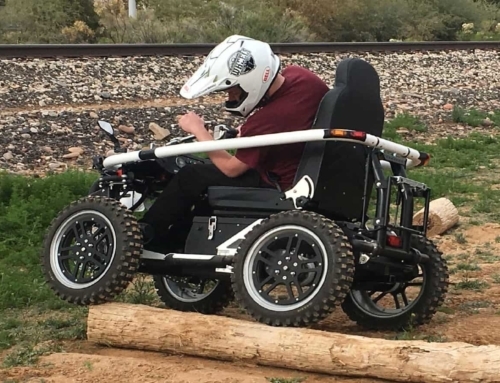 Each tire has its own electric motor and combined with the independent suspension you can really get out beyond just a gravel trail. 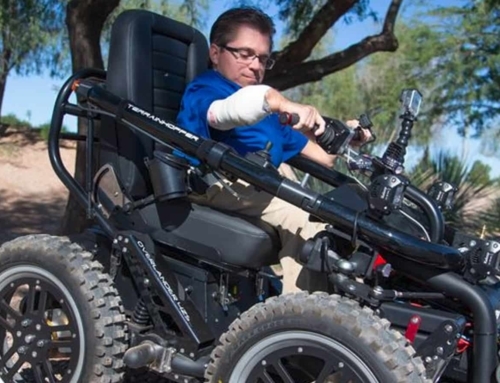 It’s built for dirt, snow and sand and can crawl up some steep inclines with confidence. It feels solid when cornering and does a good job of not chewing up trails and land. That’s important when venturing into our natural parks. 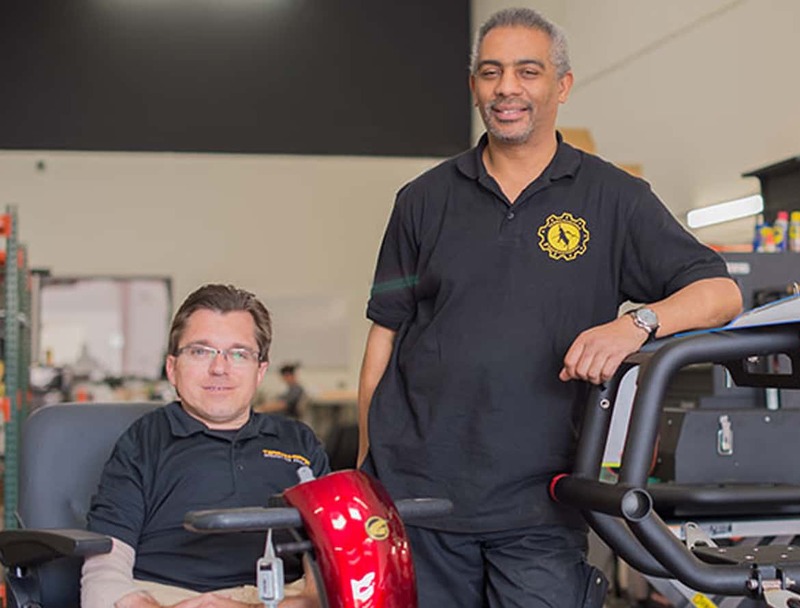 The ADA states that a motorized vehicles (battery-powered) can be used by PwDs in areas not ordinarily allowed if the individual is using it due to a disability. That doesn’t give a rider carte blanche to go hog wild. Land managers and park operators can take action if and when the usage is deemed unsafe for anyone at the park.